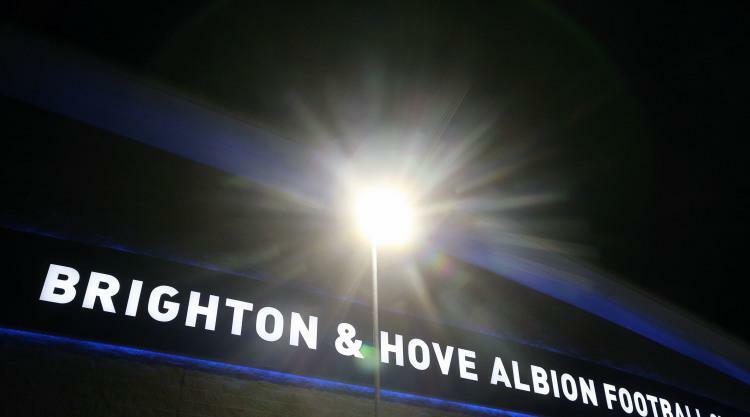 Brighton have accused a number of Crystal Palace fans of causing disorder which left two stewards in hospital after Tuesday night's match between the two clubs at the Amex Stadium. Brighton said that a number of Palace fans had travelled south without tickets and sought to gain entry to the ground shortly after kick-off in the so-called 'M23 derby', prompting the club to close the turnstiles at 7.51pm - six minutes into the match which would finish goalless. A statement from Brighton said that a number of stewards suffered minor injuries, with two - one from each club - sent to hospital. Brighton chief executive Paul Barber said: "Firstly, we hope the two stewards hospitalised in the disorder have not suffered serious injuries. "The disorder was caused by a minority of individuals who attempted to gain entry to the stadium without tickets. "Thanks to the swift action of the club's stewarding team, supported by Sussex Police, we avoided further, major disorder - and while some genuine fans were left extremely disappointed and unable to get into the stadium, the correct decisions were made. "I'd like to thank the majority of fans of both clubs for their good behaviour and patience in complying with the instructions of our stewards and police." The club said those fans with genuine tickets who were not allowed into the ground will be able to seek refunds via Crystal Palace.